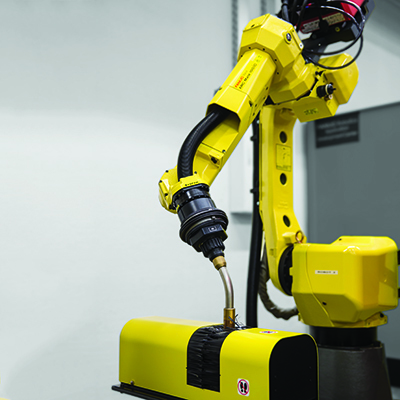 iRVision is het unieke Plug & Play visuele detectiesysteem van FANUC. Dit systeem is geheel geïntegreerd in de R-30iB-controller en ontworpen voor snelle installatie, gebruiksvriendelijkheid en ultra-flexibiliteit. Met behulp van 2D- of 3D-productherkenning is het systeem in staat om producten te lokaliseren ongeacht hun omvang, vorm of positie. Het lezen van streepjescodes, sorteren op kleur, flexibele producttoevoer, visuele lijntracking met hoge snelheid (iRPickTool) en bin/panel picking zijn ook mogelijk. iRVision vormt de sleutel tot verbeterde productiviteit en maakt mallen overbodig, waardoor nog meer wordt bespaard. Bespaar op softwareontwikkeling met de rendabele wachtrijbeheer-trackingsoftware van FANUC voor visuele line tracking-toepassingen met één en meer robots. Deze tool is bedoeld als gebruiksvriendelijk hulpmiddel voor zowel beginners als deskundigen om aangepaste en standaardconfiguraties te maken. De tool is makkelijk in te stellen met plug-and-play en vereist geen TP-programmering. Bovendien kan hij handig worden bediend met iPendant touch. 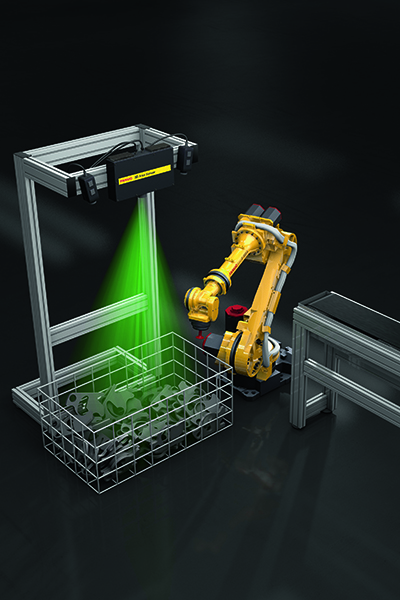 De snelle 3D Area Sensor van FANUC is geïntegreerd in de robotcontroller en maakt gebruik van visiontechnologie om direct 3D-beeld te maken. Hiermee kan de robot losse producten identificeren en uit een bin picken en cyclustijden van 8 tot 12 seconden behalen - zelfs wanneer de producten vuil zijn, verroest zijn, bedekt zijn met olie of, zoals het geval is bij zakken, geen duidelijk herkenbare kenmerken hebben. 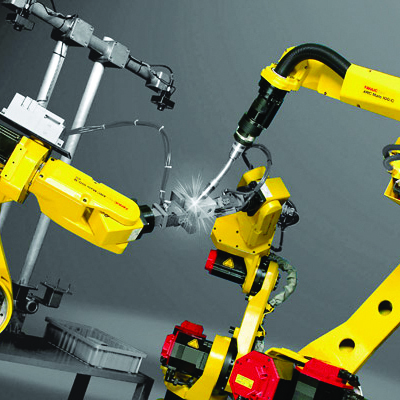 Instellen is eenvoudig via pc of de FANUC iPendant Touch. iRCalibration functions are based on iRVision, but it is a stand-alone service tool to simplify the initial setup, speeding up the entire integration, which results in an improvement of the application accuracy. iRCalibration supports robot vision mastering, mastering recovery, automatic TCP and UFRAME setting and visual setup/calibration of robot multi group such as multi arm arc welding applications. Additional solutions based on vision systems are the iRVision Weld Tip Inspection and the iRTorchMate. iRVision Weld Tip Inspection visually inspects and checks the condition of spot welding tips to identify faults. Capable of conducting a variety of tests, this dedicated software enables you to measure cap wear and identify whether a cap has been replaced or dressed. Designed for the shop floor and fitted with an industrial camera, iRVision TorchMate prevents alignment issues from occurring by keeping the tool centre point exactly on the tool path. 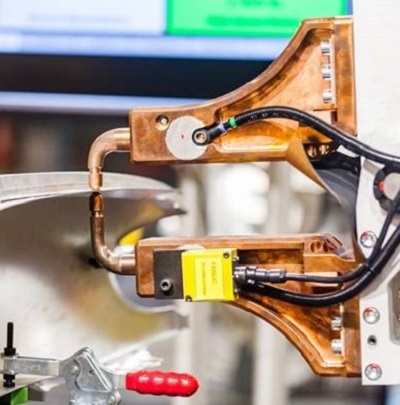 Ensuring consistent weld quality, iRVision also increases uptime by eliminating the need for preventive action. 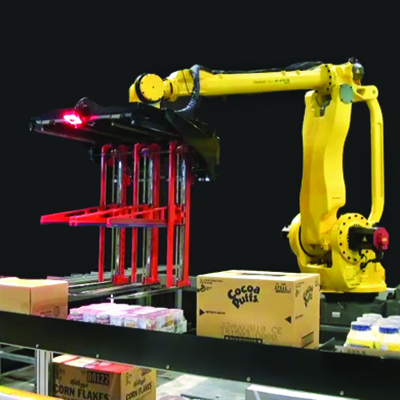 iRVision 2D functionality can be added to the iRPickTool to support the detection of randomly placed parts on a moving conveyor. 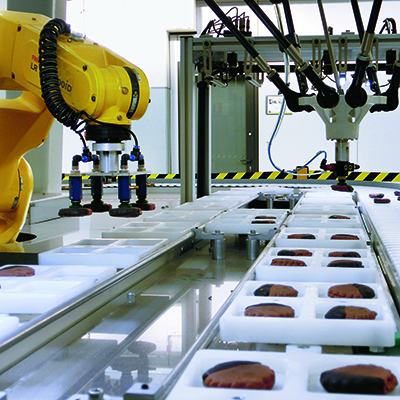 This way, the iRPickTool equips single or multiple robots with the ability to identify, pick and place items in linear and/or circular conveyor tracking. This is supported by a wide range of features including advanced queue management, buffering and tray functionality. Designed to be easy to use for beginners and experts alike, this tool enables you to create standard as well as custom configurations. Easy to set up via plug & play, it does not require TP programming and can be operated conveniently using iPendant touch.